Magento 2 Auto Invoice & Shipment extension by Meetanshi automates order invoicing and shipment creations after order payments are completed which makes order processing quick and easier. Auto invoice and shipment generation. Compatible with multiple payment methods. Auto changes order status to complete. Even though having numerous features, default Magento 2 lacks automation like invoicing and shipments. Store owners have to create invoices and shipments manually once order gets completed. This process becomes time-consuming and reduces work efficiency when a store has numerous orders. 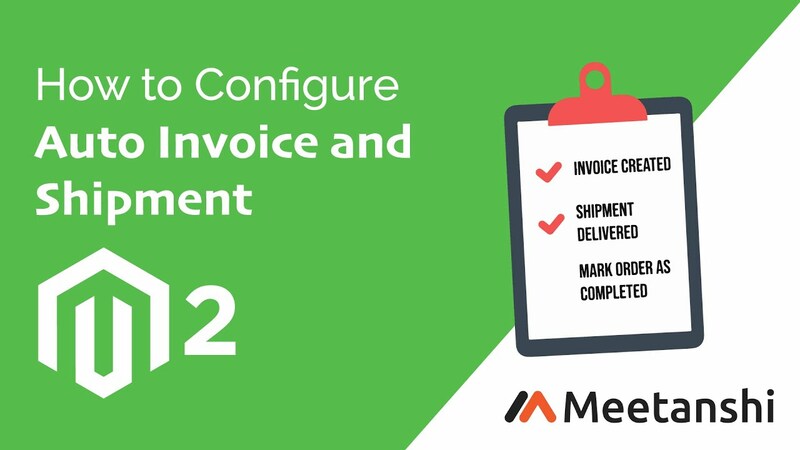 Magento 2 Auto Invoice & Shipment by Meetanshi is the perfect solution to automate invoicing and shipment process saving tons of your time and efforts. Installing Magento 2 Auto Invoice & Shipment extension lead to customer satisfaction because they don’t have to wait for confirmation Emails of invoices and shipments and order status change to complete as all of this is automatically managed by the extension. The module takes care of creating the invoice and shipments, sending the emails, and capturing payments. Not having to do these tasks manually by the admin reduces the time of entire process which enhances the user experience of your store. Option to enable Auto Invoice & Shipment for Magento 2 stores. I can send immediate invoices with the help of the module! Good job done by the development team!